David L. Ferrera, a partner in Nutter’s Litigation Department and chair of the firm’s Product Liability and Toxic Tort Litigation practice group, analyzed the potential liability of mobile medical apps (MMAs) in Bloomberg BNA Electronic Commerce & Law Report. In the article, “The New App Economy: Products Liability in an Increasingly Mobile World,” David outlined the Food and Drug Administration’s regulatory approach for mobile medical apps and the legal framework under which manufacturers could be exposed to liability. David notes that mobile apps designed to diagnose, monitor, or treat diseases could pose considerable risks to user safety in the event of a malfunction and that internet connectivity may create additional danger of an unauthorized user compromising and app’s functionality. He points out that with the increased potential for litigation, it is essential that MMA manufacturers understand the legal framework that could make them vulnerable to liability. 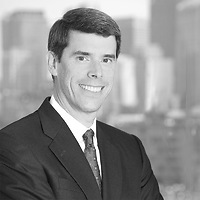 According to David, courts have yet to directly address MMAs in products liability actions, so there is still considerable uncertainty over the extent of potential distributor liability and what types of security measures manufacturers can reasonably be expected to take in the face of continually evolving threats to cybersecurity. Developers, manufacturers and even distributors should consult with counsel to ensure that they are minimizing the potential for liability and staying abreast of pertinent regulatory changes.